It has certainly been a busy couple of days for us. We have finally made it to Shanghai, and wow what a cool city it is! Never imagined that we would get to walk on the Bund in person and see what Papa Sheehan calls the “architect’s playground” before our eyes. 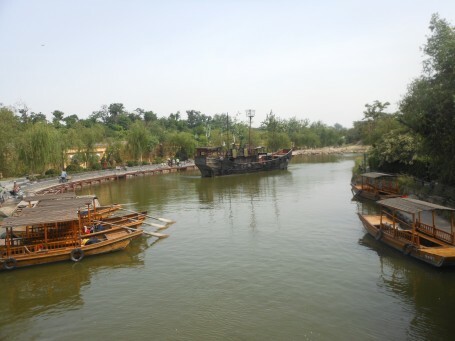 It’s very different than Kaifeng in that there are actually many tourists, which makes us stand out less. 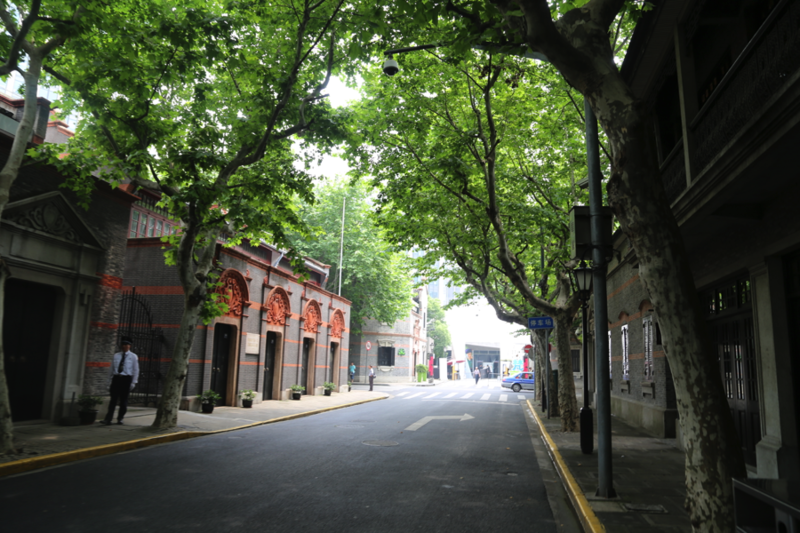 At Xintiandi, the Old French Concession, we explored high-end shops and enjoyed the refurbished buildings. We got to experience how bartering works (and sometimes doesn’t work) at the City God Temple area, with its numerous shops of souvenirs and different items. A look at the architecture of Xintiandi, the Old French Concession. In terms of our research project, we have been working very hard at figuring out a concrete thesis that would then lead to smooth transitions and present our evidence-driven argument in the most effective way. Needless to say, we’ve had to tweak and sometimes even change our theses completely. Guess that’s why it’s called a working thesis. Once we got the thesis established, the structure of our research became a lot more clear and we are now working on finalizing our thoughts into a succinct 1600-2400 word essay, as well as forming our presentation to share with our class. Today was our last day doing deliberate fieldwork. Yunwen was kind enough to show us how to take the subway and the bus. Without her help, we would not have made it to the City God Temple and Jade Buddha Temple as smoothly as we did. The City God Temple stood out to us in the sense that the temple seemed to be willing to move along with society, specifically with the presence of Daoist-themed iPhone 6 cases. 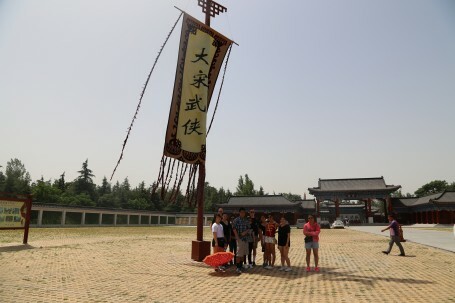 The gift shop cashier claimed that all of the objects for sale were blessed (“kai guang”), so buying the items would almost give the consumer an added sense of security, thereby giving the temple added power in terms of its marketing to its consumers. Our long morning doing fieldwork ended on a delicious note when Yunwen brought us to her favorite noodle shop, which is part of the Jade Buddha Temple site. 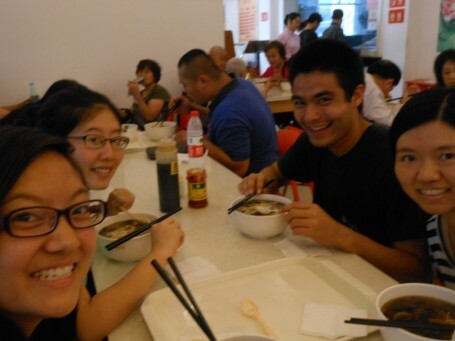 We each had mushroom noodle soup–yummy! The Arhats and the amazing Yunwen enjoying bowls of mushroom noodles at the vegetarian noodle shop at Jade Buddha Temple. It’s hard to imagine that our 2-week trip to China is coming to a close soon. 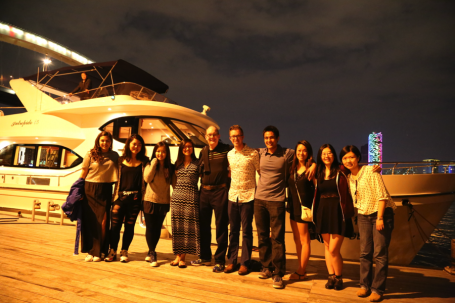 We will definitely remember these days even after departing… taking this course has also been such an eye-opening and significant part of the trip that only added to the wonderful experience here. 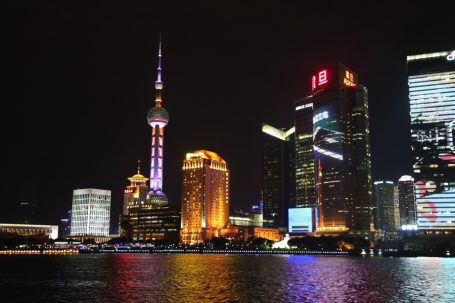 Shanghai is an absolutely amazing place. For someone experiencing the city for the first time, it would appear to be a fusion of the old and the new, the antique and the advanced. While this is partly true (lots of developments in the city have been reconstructed to appear ages-old for the sake of tourism), the city is, as it was intended to be, an example of immense growth, expansion, and investment. 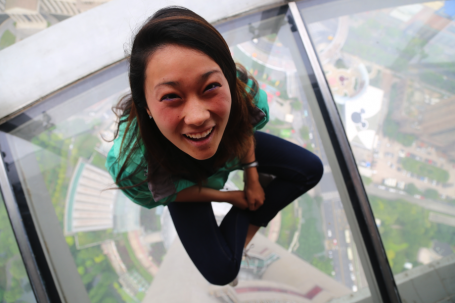 After traveling by train for over six hours, we arrived in Shanghai to the smiling face of our new tour guide, Clare. Clare took us on a preliminary tour of the city. It was nice to gain a lay of the land before being on our own for a majority of the remaining week of our time in China. 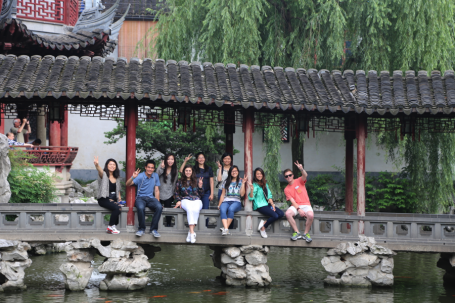 One of the stops was the Yu Garden. The intricate pathways snaked through a preserved example of an exquisite Shanghai palace that included quarters for concubines and servants. 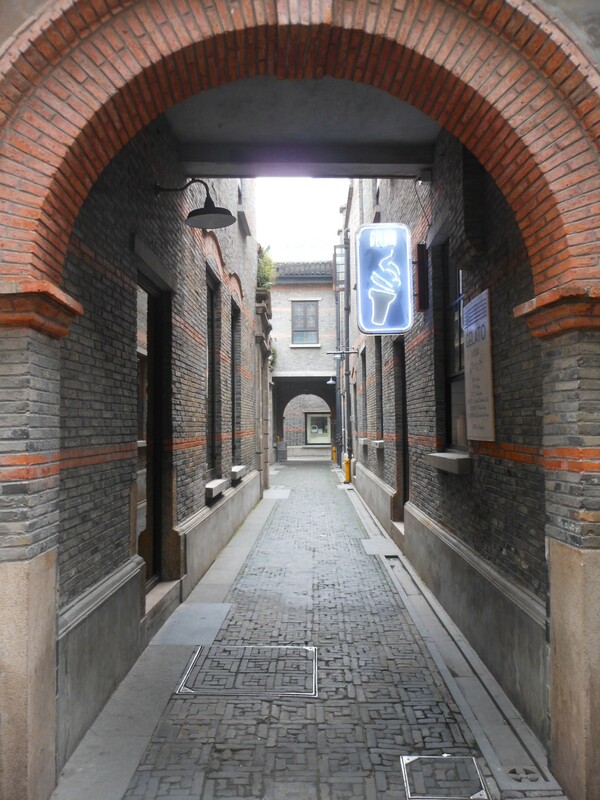 We then turned our attention to the personality of modern Shanghai. 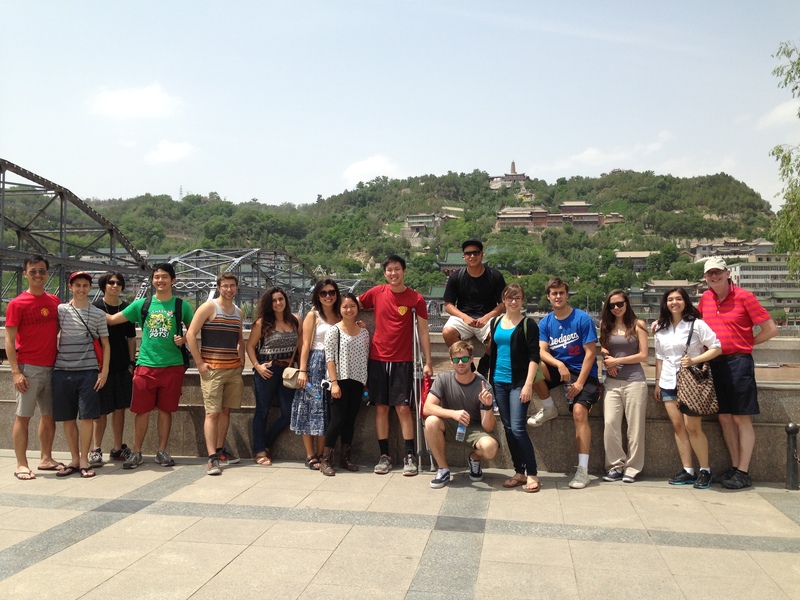 We toured the Xiantiandi area, stopping at coffee shops, international clothing stores, and even an art installation. The area was distinctly European in its makeup, with narrow streets lined with arcing trees that created an intimate and romantic experience amidst the hustle and bustle of metropolitan Shanghai. 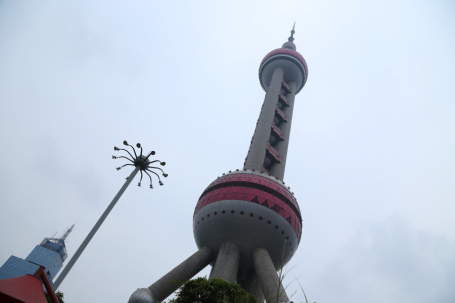 The day’s tour culminated in seeing and climbing the Oriental Pearl Towel, the gargantuan centerpiece to the modern Shanghai skyline. After zooming into the air roughly 260 meters in 30 seconds we were given a view of the city unlike any other. It was dizzying to see the city from a bird’s eye view. GEA 2015 Scholar Megan sitting high above the ground in the Pearl Tower. GEA 2015 in front of the private yacht that took us around the Bund. Wow. This city of 700,000 people is so precious. We love how close to “authentic” it’s been (although “authentic” does not exist) and how it’s not tainted with tourists as much as Beijing was. It’s been a great three days- we visited many temples and theme parks that gave us more of a sense of the culture here, and are thankful for the experience thus far. These places as well as the free time have been especially beneficial to us in terms of our fieldwork, as they are so rich with religious display. At the Digital Plaza, we were able to use our Chinese skills and talk to two young sales girls. We showed them the “Mo Shou Lin Lin” (fortune telling app), to which they remarked that they never heard of it, but rather, thought that a “Feng Shui” app was more widely used and accurate. Thanks to Professor Sheehan, we were able to get the addresses of two local temples, one Daoist and one Buddhist, that a salesperson recommended for fortune telling. Our spontaneous adventures continued from there! At the Daoist Temple, we were presented with mixed messages about fortune telling––while the salespeople at the Digital Plaza had told us that there was fortune telling at the temple, once we were there, employees told us that there was no fortune-telling. Eventually, one woman, in a hushed tone barely audible to the foreign ear, admitted that there was a fortune-teller, but alas, that he was a scammer. We tried to go meet the fortune teller, but employees blocked our path to his room and told us that the area was reserved for employees, although from our spot, we could see temple-goers inside the mysterious room. Suspicious much? Undeterred, we continued on our path to search for fortune-tellers and walked to the Buddhist temple. There, we found several fortune-tellers right outside the temple. Eventually, we found one woman sitting outside the temple. Papa Sheehan volunteered to have his fortune told (we’re grateful, because we definitely would not have been able to completely understand without his translation). He chose to have his wealth fortune told, and according to her, he would have the luckiest future ahead of him. 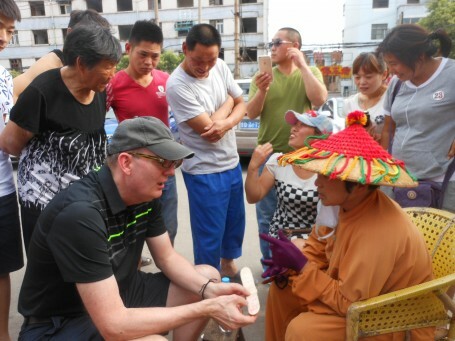 Papa Sheehan gets his fortune told by a fortune teller outside a local Buddhist temple. In terms of our research, our escapades to the Daoist temple and fortune-tellers spoke especially to our research topic. As Professor Sheehan described after, many fortune-tellers’ prices are contingent on the fortune that is told––good fortune equals high price, bad fortune equals bad price. This practice reflects the commodification of religious practices, and speaks to the conflation between religious ideas and consumer behavior, as consumers will pay differing prices for different fortunes, as if selecting a product from a shelf of selections. Onto today’s events! Our day started off with a visit to a “theme park”––not the theme park that we Americans would normally think about, but rather a park with an overarching theme. In this case, the gargantuan park was based entirely off a five-meter painting of Song dynasty Kaifeng. There was so much to see and to do. We saw a lot of animals, for one thing. There was a camel, a goat and a monkey, and horses (whom we could definitely smell). While one group won prize after prize at the carnival games, the others frequented the myriad of shows that the park had to offer––from a fire-spitter spewing forth a tumultuous gulf of fiery chaos (that nearly took off our hair and head) to an animated joust fought between numerous martial arts masters. Our day at the park was a truly exceptional experience that will not be forgotten anytime soon. KAIFENG ROCKS!!!! A view of the lake at Millennium City Park. Alice and Psalm trying out a Sheehan-powered ferris wheel. 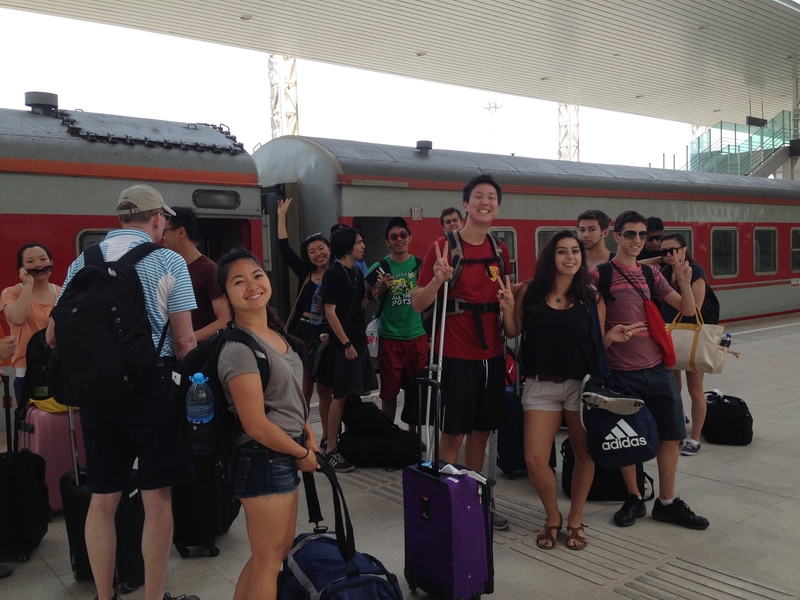 June 4, five days since we arrived to China and our first in Kaifeng. Our morning was defined by travel. At nearly 200 mph our train zoomed inland toward the Henan Province. 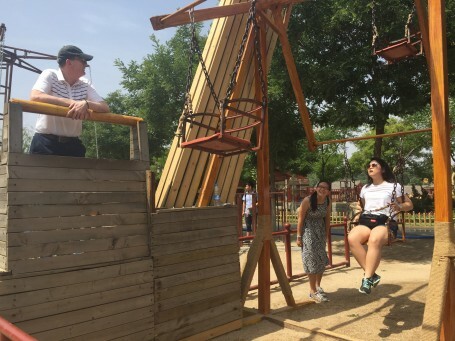 Upon arriving, our first stop was a rural village where we had the opportunity to explore and experience a China that was more representative of the majority of the population; Dorothy, we’re not in Beijing anymore. Professor Sheehan led the class through back alleys and conversed with locals in the hope that we would be able to enter their property for a closer glimpse at their lives. One such gentlemen was compliant (albeit with his less-than-trusting mother nearby) and we learned that it was harvesting season, and this his crops were wheat and garlic. Our host in the village outside Kaifeng. He allowed us inside his property to see their way of life. 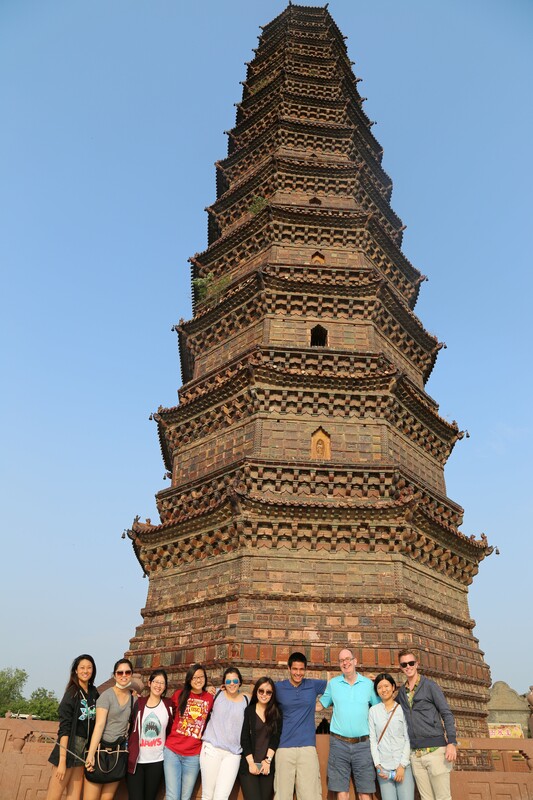 Another highlight from the day was of the Iron Pagoda, built during the Song Dynasty. Several members of the class joined Professor Sheehan in climbing to the top of the pagoda. Many Sheehans were earned this afternoon. 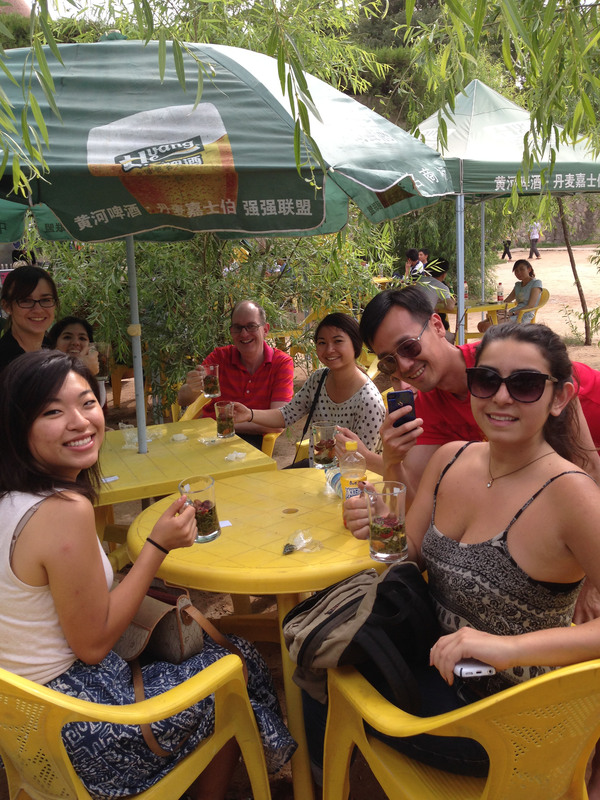 June 5, six days since we arrived to China and two days we’ve been in Kaifeng. What an amazing place Kaifeng is: nearly devoid of Western tourists, the city is a cross-section of antiquity and advancement. The morning was spent getting a lay of the land. While walking among local schoolchildren heading to class, we explored alleyways and side-streets to paint a better picture of what life is like for larger portion of Chinese. We stopped by a small dumpling shop to buy steamed breakfast dumplings; it was the first of the two occasions that Chris was asked to pose for an advertisement picture for the store’s WeChat profile. 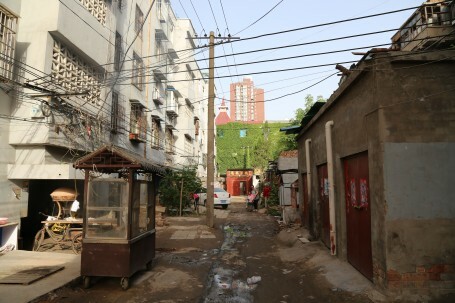 A sample side-street in Kaifeng within one mile of our hotel. 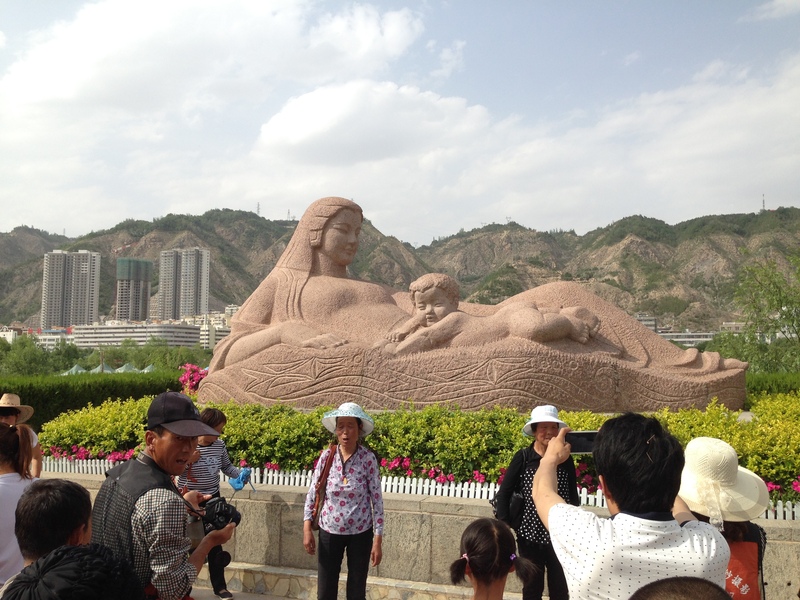 The day contained three stops: a section of the Song Dynasty-era city walls, Guild Hall amusement park, and Wan Sui Mountain Park. The amusement park was of particular interest because it was a re-embedding of a global amusement park template. 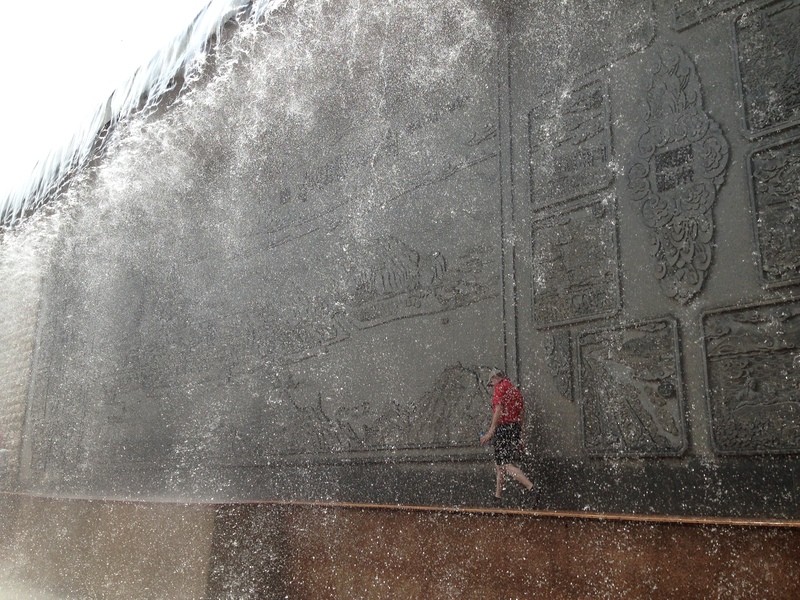 It was a hodgepodge of cultural icons, texts, and characters being employed for tourists. We saw cheesy kung fu performances, raced go-carts, played archery games for prizes, and explored a variety of installations. GEA 2015, huddled in the shade, outside the amusement park. A good portion of the day was spent doing field work inside Kaifeng. Zhong Shan Road became a central fixture for the group examining fast food in a globalized context, and we were able to explore international chains like McDonald’s, national chains like Dicos, and an interesting smattering of local and plagiarized brands. We had the opportunity (and perhaps the luxury) of interviewing manicurists while we had manicures. They told us that trips to restaurants like KFC and McDonald’s are viewed as special occasions, but that they preferred these brands to domestic chains due to the cleanliness, convenience, and taste. This nail salon was the second time Chris was utilized as an advertisement for a WeChat profile. We look forward to the rest of our time in the city. 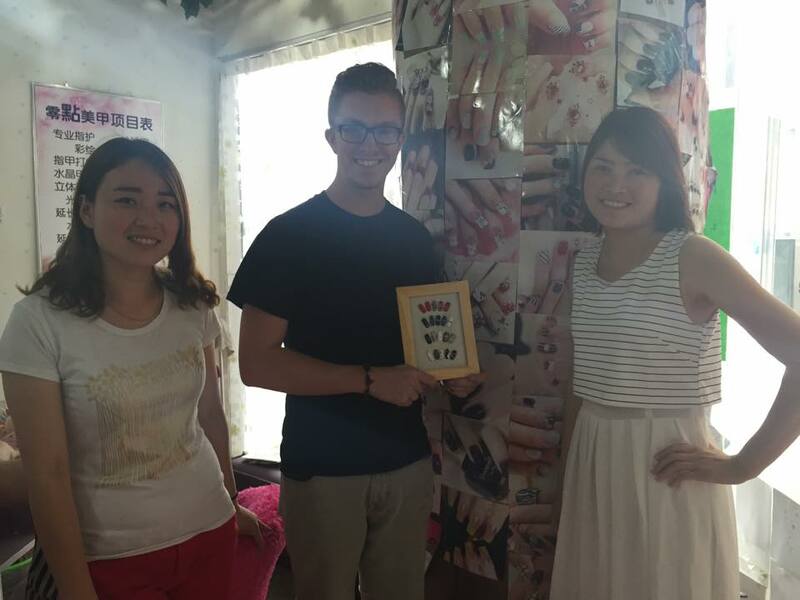 Chris posing with the manicurists at a nail salon in downtown Kaifeng. Check them out on WeChat.